Waste carriers have listened to council warnings and secured their loads more securely during a successful operation targeting two major routes. Working alongside Avon and Somerset police, our enviro-crime officers carried out stop checks on the A4174 ring road and the A38 near Thornbury during the week commencing 10 October. We stopped and inspected a wide range of vehicles transporting waste, from flatbed trucks to bulk waste freight containers. In total we stopped 65 vehicles for potential offences during the course of the operation. The majority of drivers were given verbal advice on securing waste, six operators will be provided with more formal written advice and officers are investigating one case further. One vehicle was seized by police officers due to its dangerous condition. Robert Walsh, Head of Safe Strong Communities, said: “There was a clear improvement in the way waste is being carried on our roads since the last time we carried out an operation similar to this one. “Publicity of previous operations and the hefty fines imposed as a result of our successful prosecutions appears to have had a positive effect. 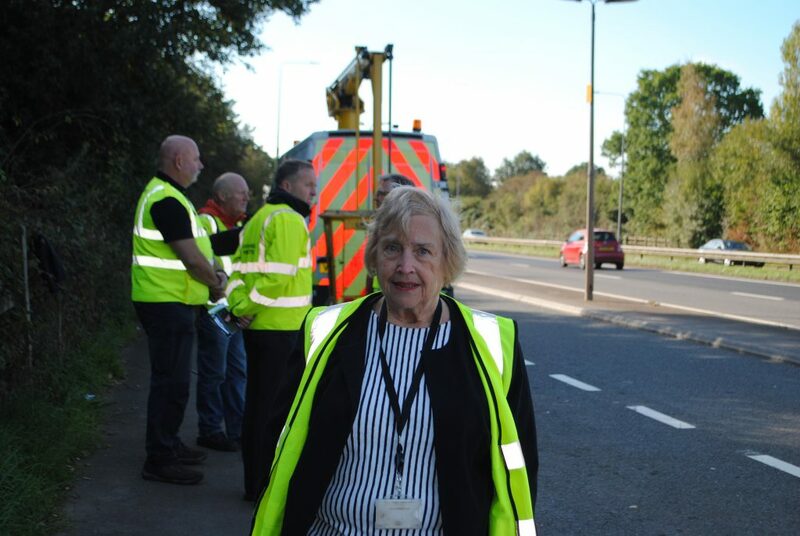 Cllr Heather Goddard, Chair of Environment and Community Services Committee, said: “We spend tens of thousands of pounds each year cleaning up litter from roadside verges, which is a burden to our council tax payers as they bear the brunt of these costs. We are one of the only authorities in the country to have successfully prosecuted companies under the Environmental Protection Act 1990 for failing to take reasonable steps to ensure waste is transported legally. In 2011, construction and waste management firm Smiths of Gloucester was fined £5,000 and ordered to pay costs of £18,336 and a £15 victim surcharge.